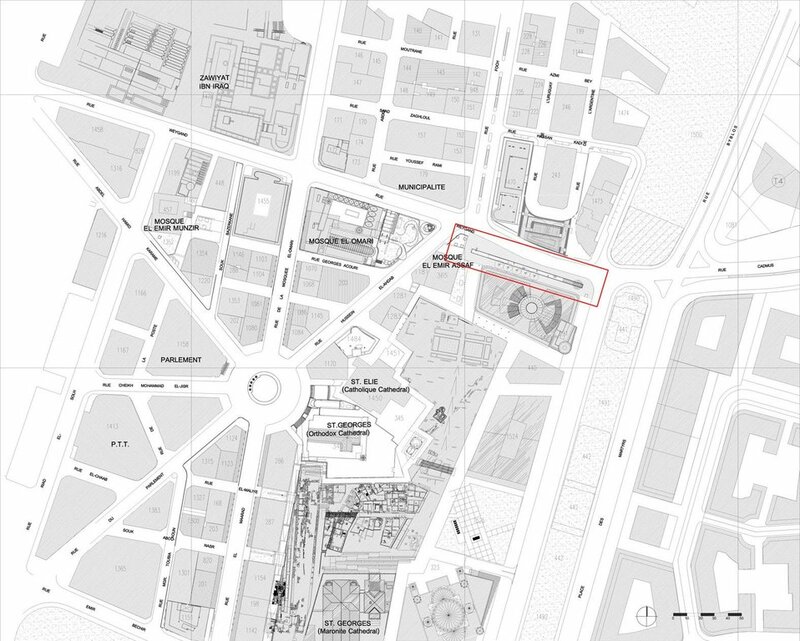 Two decades after the end of the war, Beirut is still in the process of defining itself. 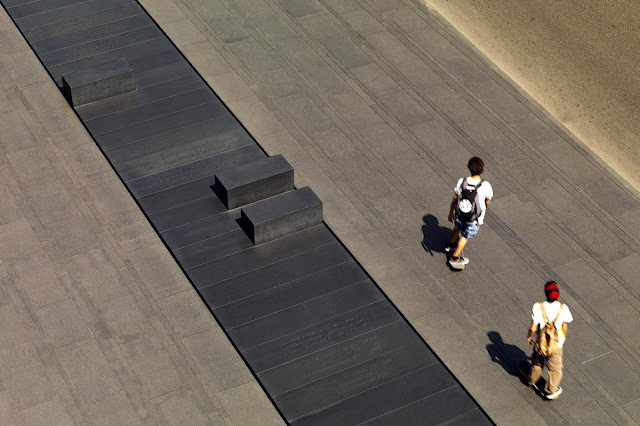 Its physical incompleteness is mirrored in its society, in its ongoing struggle to come to terms with its past and contend with the complexity of its present. The painful recent cost of this struggle is visible in a new memorial space introduced into the fabric of the city. 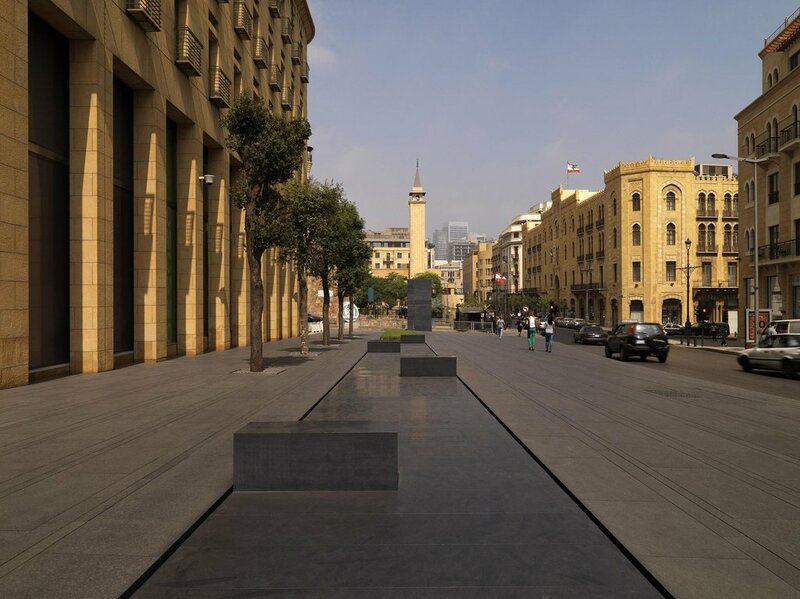 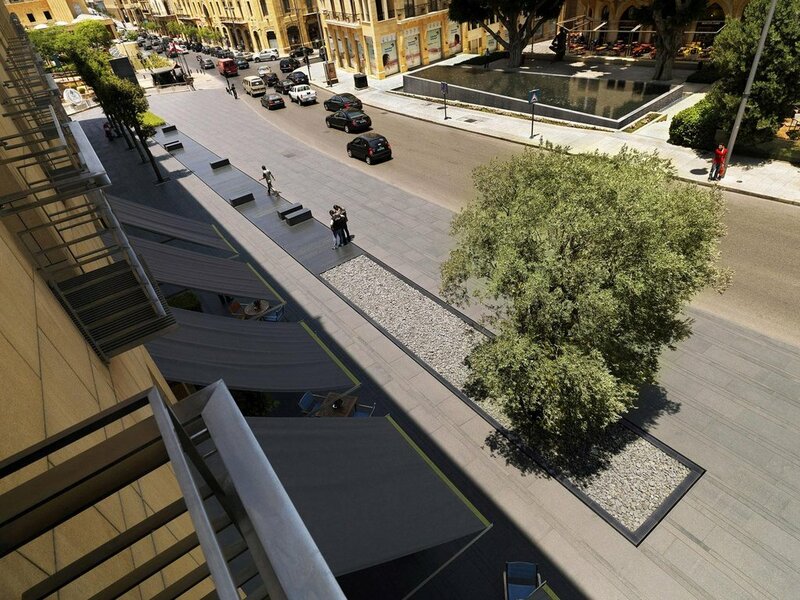 Located at the entrance of Beirut’s Central District, under the watchful eyes of the An Nahar building, the Gebran Tueni Memorial is both a tribute to an honorable journalist, as well as an open public space marking the entrance of Beirut’s newly rebuilt Central District. 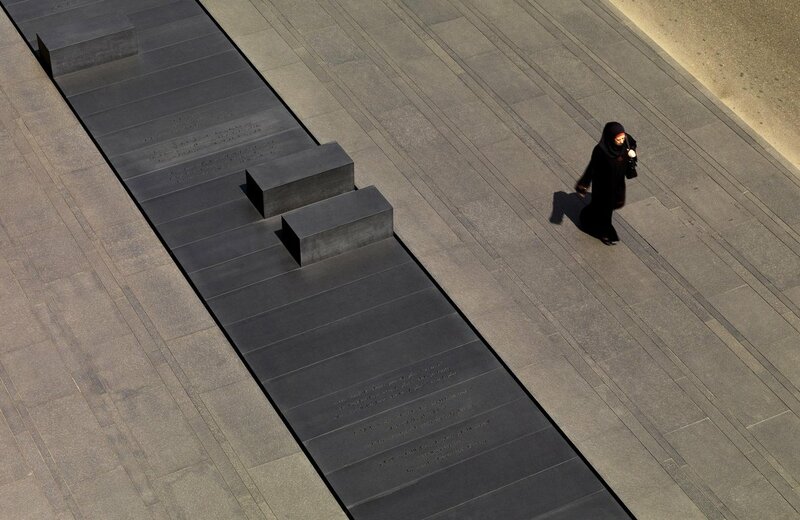 A single linear gesture carved in the ground narrates his beliefs and convictions, and everything that he stood and died for. 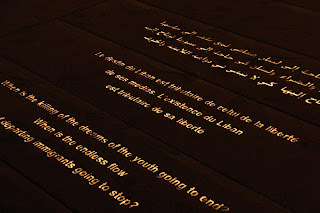 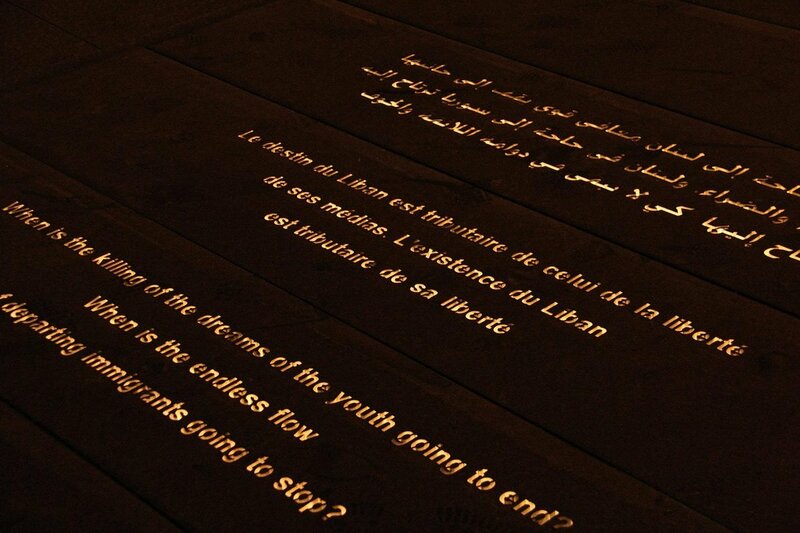 These engraved potent words, written by Tueni over the years culminate in a 4.9 meter granite monolith bearing his unforgettable oath delivered to the Lebanese people prior to his assassination. 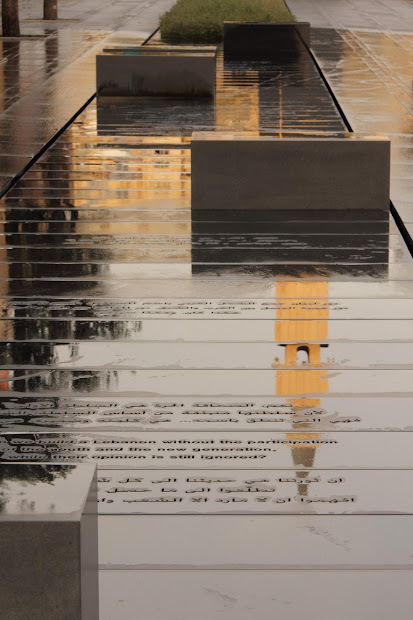 The memorial is set in a plane of granite bands 15, 9, and 57 cm wide, inspired from his birth date, 15 September 1957. 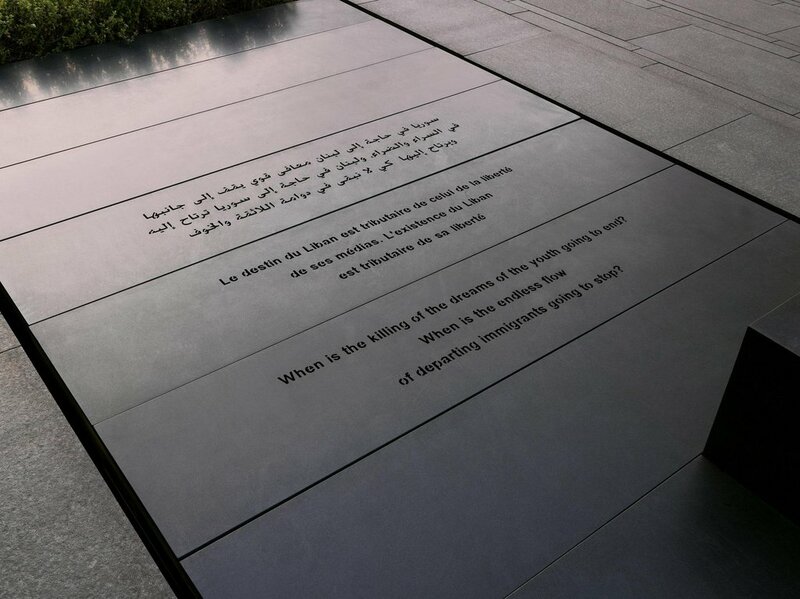 The olive tree marking the beginning of the memorial, along with the oak trees and thyme plantings, are all nostalgic Lebanese species hinting at his deep patriotic affinity. 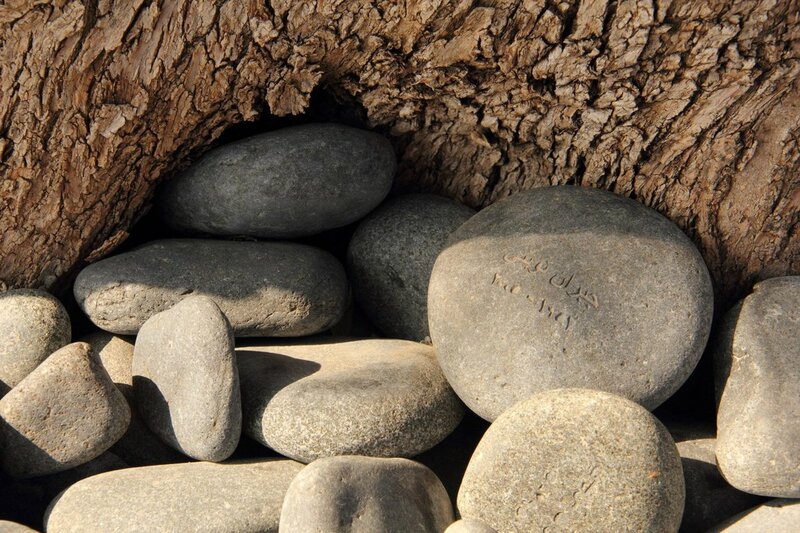 Loose pebbles under the olive tree, engraved with his name, are meant to be taken by all visitors, and will be continually replenished by his An Nahar colleagues as an act of constant remembrance. 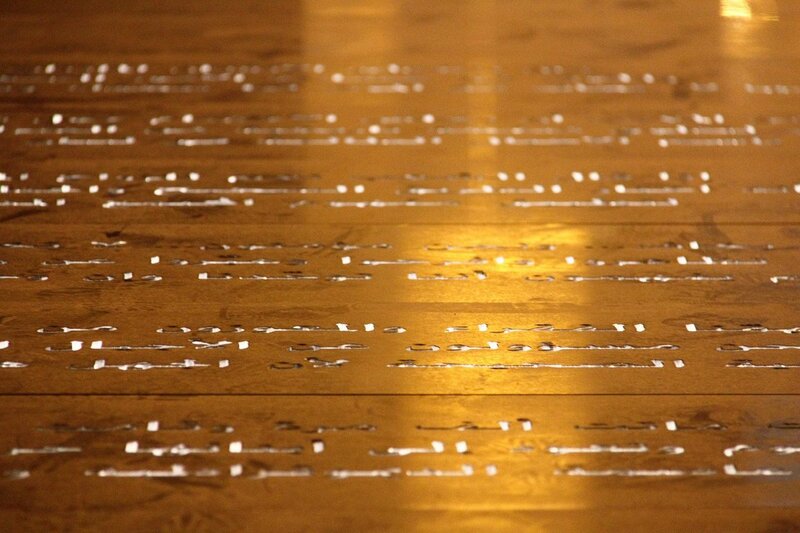 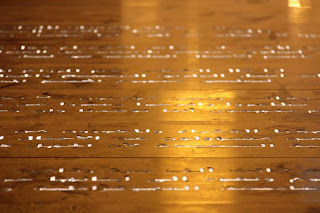 At night, programmed lighting reveals his words and illuminates his memory. 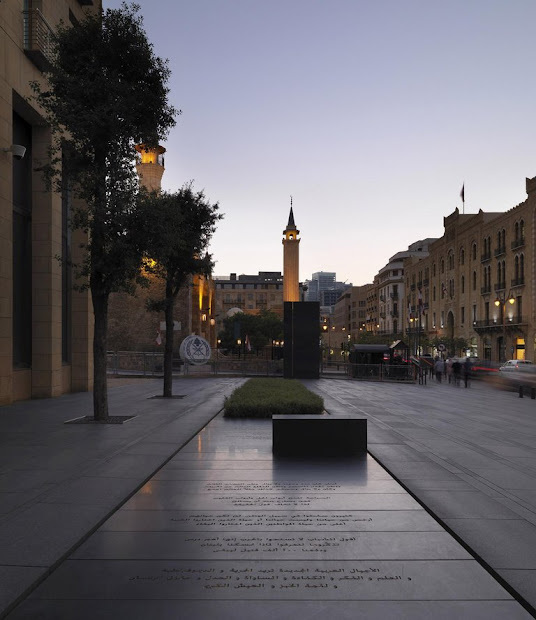 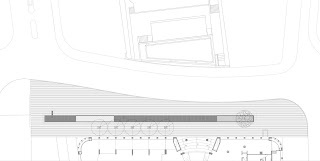 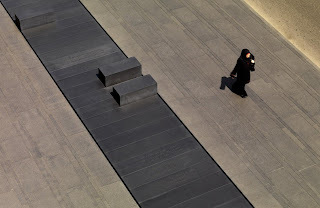 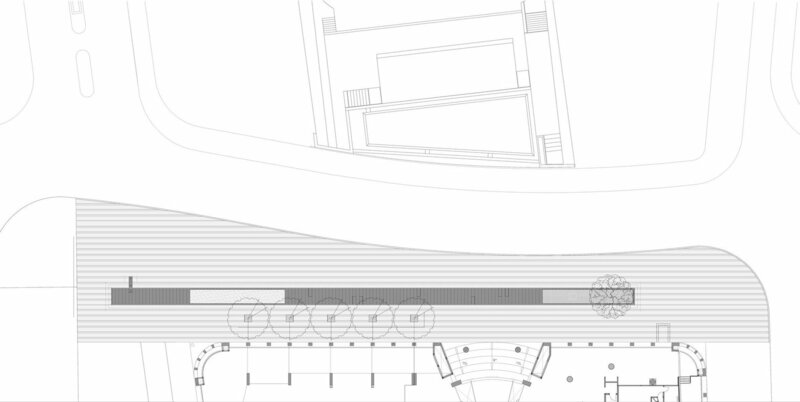 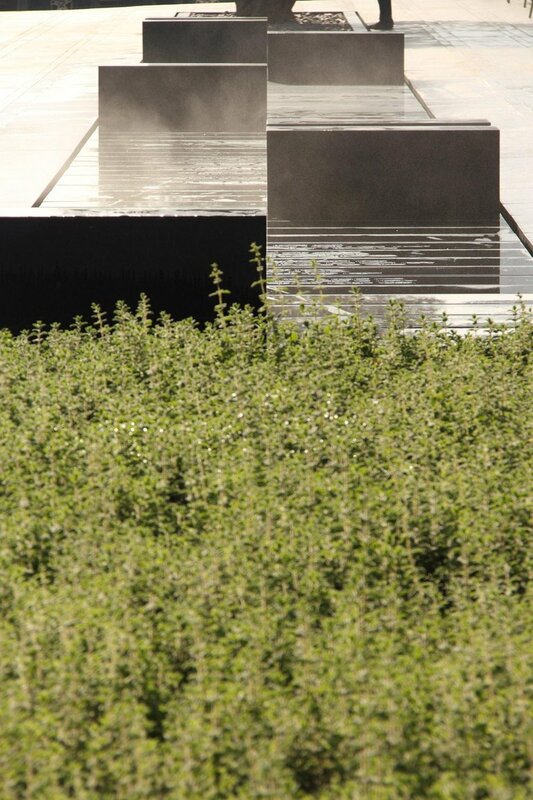 The memorial space has become a place evoking the character and the achievements of a man, and in its way, telling a story amongst the stories that are Lebanon. 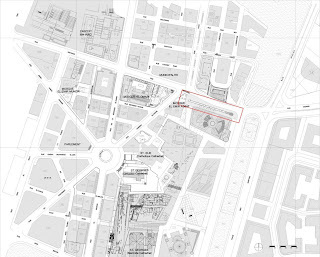 La Ciudad de la Justicia, en liquidación.